Quirky camera maker Lomo has unwrapped what it bills as the worldu2019s only camera fully dedicated to u2018sprocket hole photographyu2019. Quirky camera maker Lomo has unwrapped what it bills as the world?s only camera fully dedicated to ?sprocket hole photography?. The camera accepts 35mm film and shoots (72x24mm) panoramic images that show the film’s sprocket holes. ?Two scrolling knobs allow you to move the film back and forth, for maximum freedom of creativity,? says The Lomographic Society. 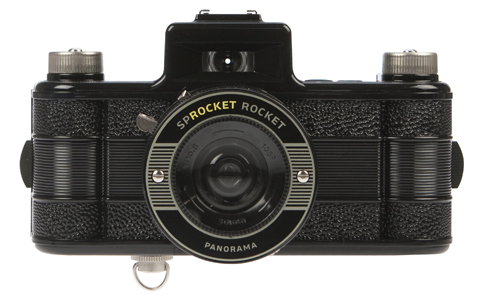 The Sprocket Rocket comes equipped with a 30mm lens and costs £79.